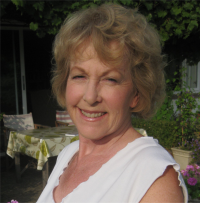 Diana Winsor has been a journalist since the 1960s, writing for several newspapers and magazines, including the Sunday Times and the Daily Telegraph, both as a staff writer and a freelance. She is the author of two thrillers, Red on Wight and The Death Convention (Macmillan, 1972 and 1974). In 1980 she wrote The Dream of Bath, and in 1983 Britain - A Country Compass. Her most recent book is Ralph Allen, Builder of Bath, published in 2010. She has also written many short stories and contributed to several books on Britain, among them Yesterday's Britain and Discovering Britain for Reader's Digest Books.